Want fun? Play AQUA this 4th of July! Don’t be bored playing the same old video games this 4th of July — play AQUA! My latest video game, AQUA, lets you play an irreverent ship captain as he fights an old enemy on the high seas of Emperea, only to find all is not as it seems in this steampunk world. He navigates the seas and the choppy waters of Emperean politics along with his newly promoted and sometimes frustrating chief engineer, Polly. As captain, you’ll lead the attack as a lone wolf or squadron leader in this game of naval warfare. 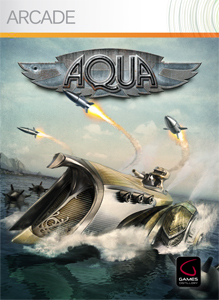 AQUA is available for XBox 360 Arcade, which means you can download it right now and play all weekend. Do it! Oh, all right. You can watch some fireworks, too. But if you play it and enjoy the writing, let me know!